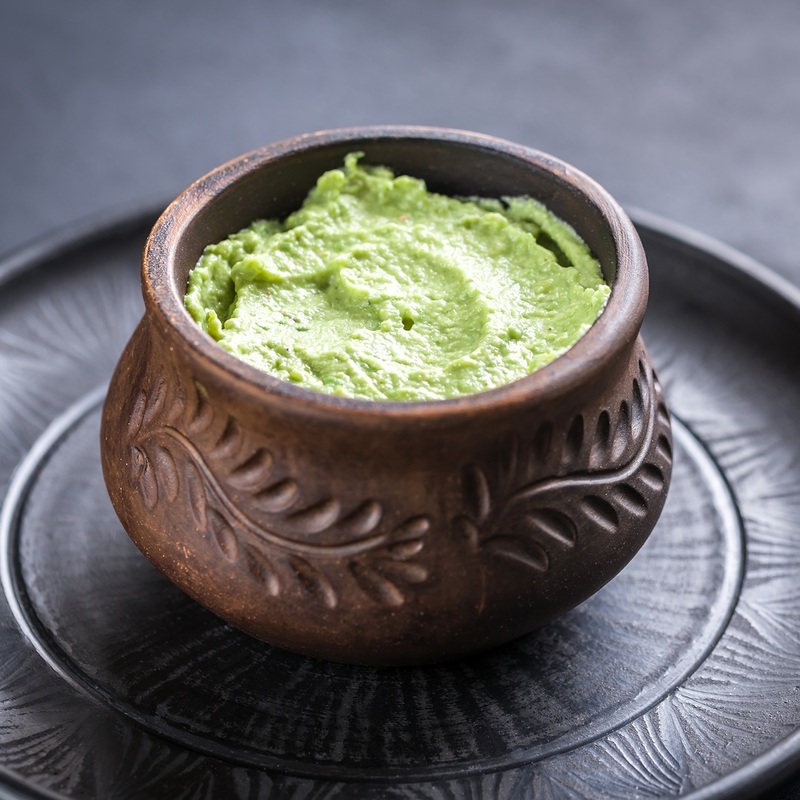 This recipe for green curry hummus was originally shared with us by Heather Kessler as a “15 minutes or less” entry in the Fast & Fresh Dairy-Free Time Trials Recipe Contest that we hosted with So Delicious. But since it’s got such a beautiful green hue, I decided to give it a refresh in time for St. Patrick’s Day. 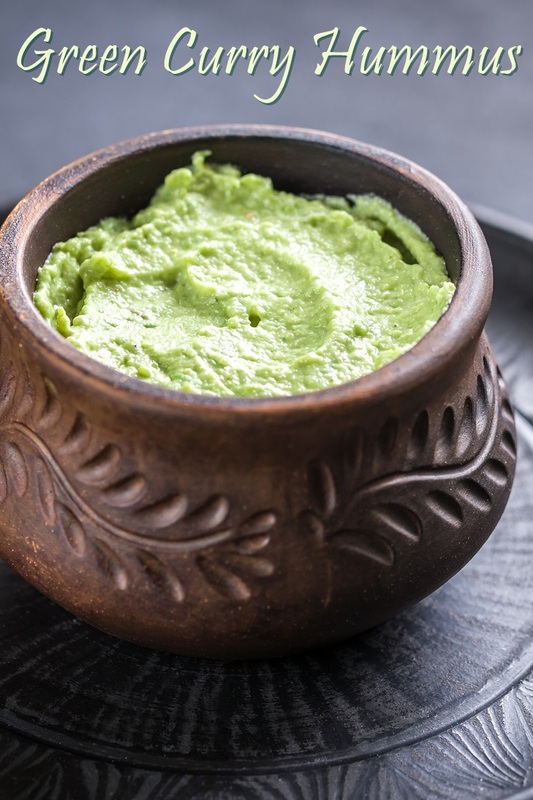 Heather uses a blend of Thai-inspired flavors, including inexpensive green curry paste, to strongly influence the flavor of this bean-based dip. 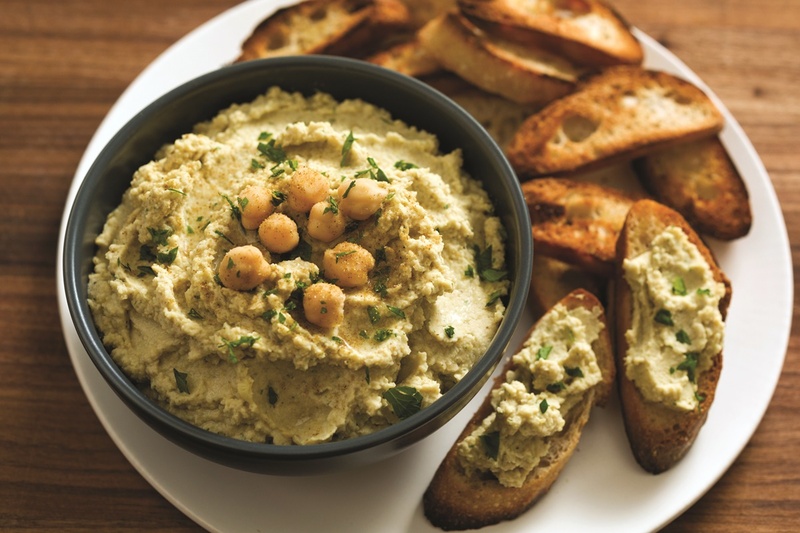 In keeping with the theme, she swaps coconut for the tahini, making this a seed-free spread. It may not be traditional, but I think this green curry hummus still earned its name. 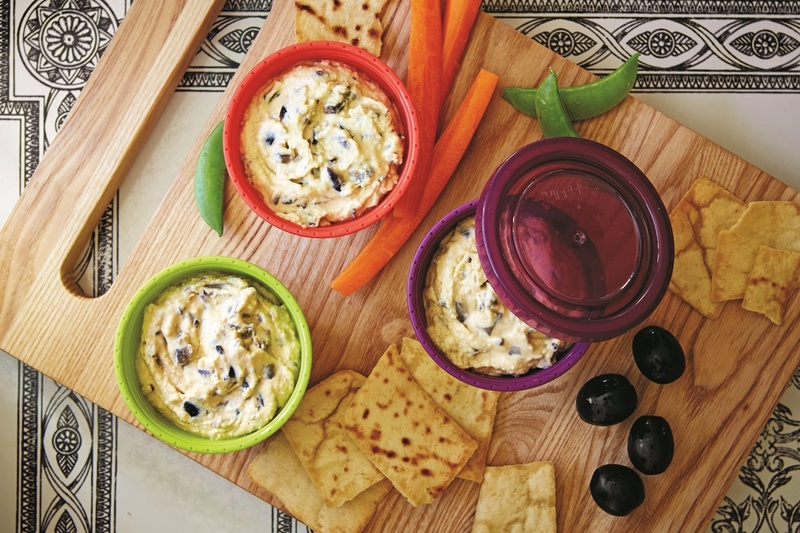 This rich, healthy spread or dip has quite a kick from both the chilies and the green curry. For a milder flavor, you can omit the chili pepper. Add the beans, coconut, cilantro, lime juice, garlic, curry paste, peppers, ginger, and salt to your food processor and process until smooth. 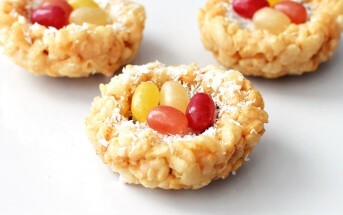 With the machine running, add the coconut milk beverage as needed through the shoot to get the consistency desired. 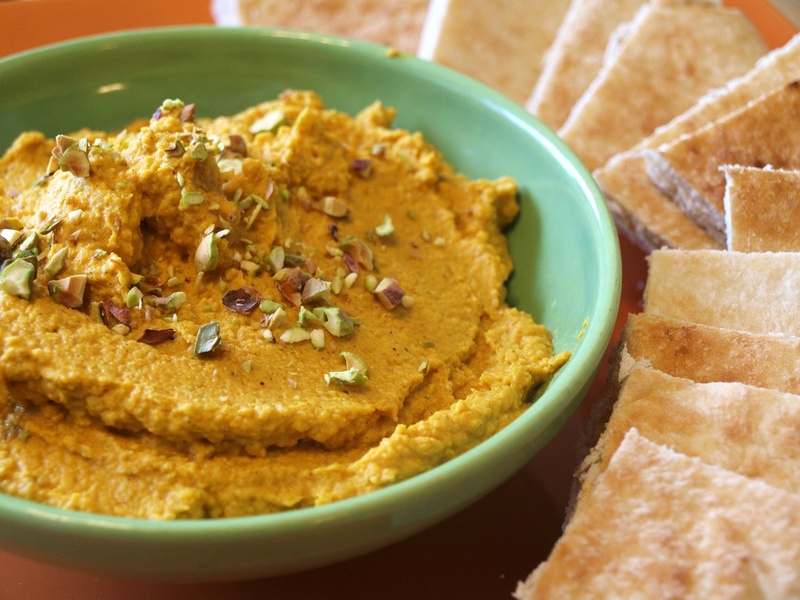 Serve with pita chips or fresh cut vegetables, such as carrots, peppers and broccoli. I make hummus with cooked chicken, garbanzo beans and whatever seasonings I feel like at the time. I usually eat it with gluten free pretzels so to get it to stick to the pretzel I add some dairy free cream cheese or some mayo. I can’t wait to try your hummus recipes. I am on a Gluten Free, Mammal Free, Nightshade Free diet that gets somewhat boring. 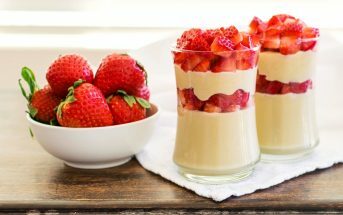 Thanks for sharing your recipes!